On Saturday night Mayweather Promotions will team up with TGB Promotions to showcase three bouts live from the Chelsea at the Cosmopolitan in Las Vegas, Nevada. All three bouts will be competed in the junior middleweight division and the WBA, IBF, and WBC belts will be up for grabs. Erislandy Lara will defend his WBA Junior Middleweight belt in the main event of the evening, while Jermall Charlo will defend his IBF Junior Middleweight Belt against former champion Austin Trout in the co-main event of the evening, and Jermell Charlo will open up the broadcast against John Jackson for the vacant WBC Junior Middleweight Title. The following is a preview of all three bouts. The opening bout of the night will be for the vacant WBC Junior Middleweight Title. Jermell Charlo is only twenty five years old, but he has already beaten the likes of Joachim Alcine, Vanes Martirosyan, Charlie Ota, Gabriel Rosado, Demetrius Hopkins, and Harry Joe Yorgey. He will be one inch shorter than his opponent and will be giving up two inches in reach. He is also two years younger than Jackson and both boxers are in their athletic primes. They have similar amateur experience. Charlo won the Bronze medal in the 2005 Junior Olympics and turned professional at a young age in 2007. Jackson represented the Virgin Islands in the 2008 Summer Olympics, but did not achieve much success on the international stage. Jackson’s professional resume pales in comparison to Charlo. His only notable victories, if you can call them that, were to KeAndrae Leatherwood and Cerreso Fort. He has lost to the likes of Willie Nelson and Andy Lee. Neither boxer is known for their power, Charlo has twelve knockout victories during his career and Jackson has fifteen. Jackson’s chin however was shown to be prone to a knockout when Andy Lee crumpled him in 2014. Jackson fought once in 2015 and twice in 2014, but this is by far his toughest matchup since his loss to Lee. Charlo fought three times in 2014 and twice in 2015 and has never tasted defeat. Every time Jackson has faced competition that is on the same level or higher as him he has come up short, and Saturday will likely be no different. On paper, the second bout of the night will likely be the most competitive bout. Austin Trout became a well known name in boxing when he had a stunning upset over Miguel Cotto in 2012. However, he followed up that loss with two consecutive losses to Saul Alvarez and Erislandy Lara and has been struggling to regain his championship status since that loss. Other notable opponents that Trout has defeated include Joey Hernandez, Daniel Dawson, and Delvin Rodriguez. Charlo, the older of the twin brothers, won his IBF belt with a victory over Cornelius “K9” Bundrage. His other notable victories include Wilky Campfort, Cornelius Bundrage, and Michael Finney. Charlo will have a slight one and a half inch reach advantage, but will also have a notable two and a half inch height advantage. His is also five years younger than his opponent at the age of twenty five. 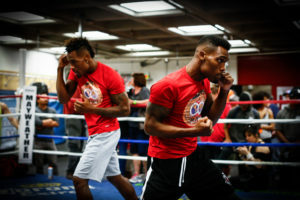 Both boxers had successful amateur careers and came close to making the US Olympic team, Charlo in 2008 and Trout in 2004. Charlo has the stronger punch of the two. He has eighteen stoppage victories as a professional while Trout has seventeen stoppages with nine more bouts. Charlo has also stopped four of his past five opponents. Trout was never able to capitalize on his victory over Cotto and hasn’t been a major player in the junior middleweight division since his back to back losses to Alvarez and Lara. He’ll be Charlo’s toughest opponent to date and he’s still in his athletic prime, but Charlo should be able to outbox and out muscle Trout over the course of twelve rounds. This bout is a rematch of their 2012 encounter that ended in a draw. This is despite the fact Lara landed forty two percent of his power punches in comparison to the sixteen percent that Martirosyan landed, and the fact Lara landed seventy four punches during that bout in comparison to the thirty three punces that Martirosyan was able to land. Despite the statistical advantage that Lara had, the judges somehow scored it 87-84 for Lara, 86-85 for Martirosyan, and 86-86. Lara, at the age of thirty three years old, is nearing the end of his physical prime. He’s a southpaw that will have a four inch reach advantage over Martirosyan but will be giving up two and a half inches in height. Martirosyan is three years younger than Lara. Martirosyan does have the edge in power, as he has stopped twenty one of his opponents while Lara has only stopped twelve of his opponents. They both fought twice in 2014 and in 2015. They both also had successful amateur careers. Martirosyan represented the United States in the 2004 Summer Olympics. Lara won the gold medal in the 2005 World Amateur Championships and was favored to win the 2008 Summer Olympics before defecting from Cuba. Lara has the more impressive resume. He has defeated the likes of Jan Zaveck, Delvin Rodriguez, Ishe Smith, Austin Trout, Alfredo Angulo, and Freddy Hernandez. His losses were to Paul Williams and Canelo Alvarez, and arguments could be made that he should have won both of those bouts. 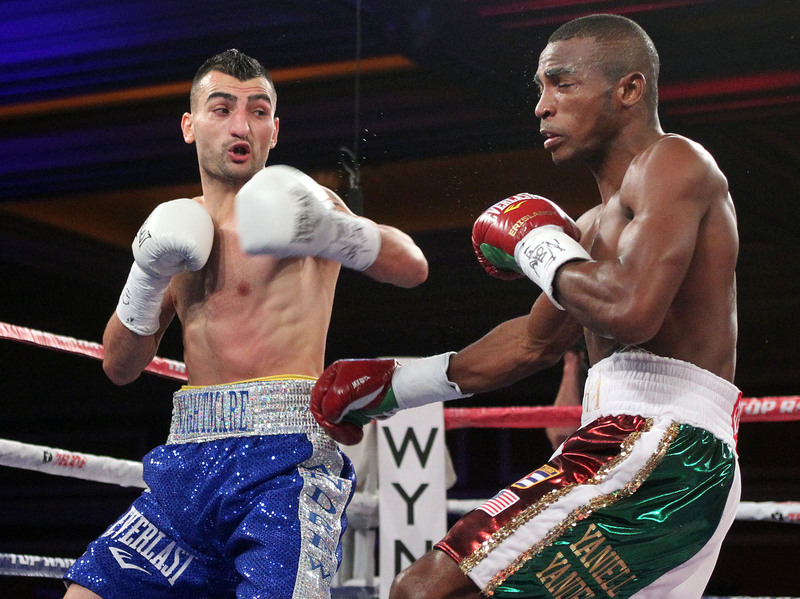 Martirosyan has defeated the likes of Ishe Smith, Willie Nelson, Ryan Davis, and Kassim Ouma. He has lost to the likes of Demetrius Andrade and Jermell Charlo. Many felt Lara won their first bout and even though Lara is getting older, he hasn’t shown signs of slipping in the ring. Martirosyan on the other hand has gone 2-3 in his last five fights and squeaked out a decision against Ishe Smith and was dominated by Jermell Charlo. The biggest knock against Lara is that he does not have a crowd pleasing style, but it’s hard to imagine him not being more aggressive and active in this bout. Lara should win the rematch, and likely in much more convincing fashion than in 2012.